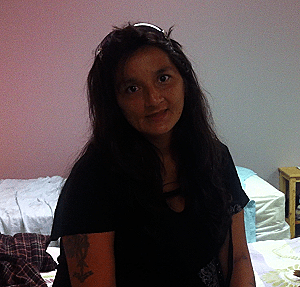 This has been a busy summer for all of the homeless shelters in Saskatoon and the Lighthouse has been no exception. We have seen record numbers of men and women come to our doors looking for a safe shelter and a place to call home. To deal with this increased demand, The Lighthouse has added extra cots and mats to ensure that no one is turned away. We have also added addition staff to assist clients and we monitor the situation each afternoon and take immediate steps to make sure that no one is out on the streets. With the opening of the new affordable housing apartments, several residents from our supportive living suites are making the move to full independent living. While that is a significant achievement all by itself, it does allow us to open up more suites for those in our shelters which will open up 12 more beds. Also, some from our shelter residents are moving to the new tower as well which will free up even more beds starting on Saturday. We are excited for all of them as they get their own place to call home but we also are happy that it means that we can help more people. While it is too soon to tell if this is a cyclical increase or part of a long term increase in the numbers of homeless on Saskatoon streets, we are taking the following steps to ensure that we can meet the increased demand. We are purchasing additional permanent beds for our men’s shelter. We hope to add 8 more beds in the next couple of weeks. We will be adding more beds to the women’s shelter. We are adapting to the changing demographic and needs of our shelters with programming, case management, and addition supports designed to help clients find employment and housing outside of The Lighthouse. Our own informal survey is that there are places to rent in Saskatoon that are affordable but people need the supports to find them. We are reallocating even more resources to provide those supports. It’s a big challenge but we are thrilled to see how staff, donors, and volunteers have stepped up to the plate and made a significant difference in the lives of those in our shelters. If you are interesting in partnering with us in tackling this challenge, contact DeeAnn Mercier at 664.4663 or via email at deeann.mercier@lighthousesaskatoon.org. When I bought this camera it was the state of the art. Here is what CNet said about it back in 2005. Like the rest of the Z-series family, the Konica Minolta Dimage Z10 looks like it was stolen from an “amazing world of the future” exhibit at a 1950s science fair. You either like its looks or you don’t, but its shape, though not compact, turns out to be functional, allowing a comfortable and secure grip. The plastic two-tone grey and silver body, while far from luxurious, feels reasonably well built for the Z10’s price level. The camera weighs 368 grams with batteries and media installed, which is light for a megazoom–the wonder of plastic, as they might have said at that science fair. Like most technology, what was amazing 7 years ago, hasn’t aged well. While I took over 14,000 photos with it before handing it down to my son and now he wants something better and it is sitting in a closet like a lot of old technology. What The Lighthouse would love is if you could take a look in your closet of obsolete technology and do a little house cleaning and bring it down to The Lighthouse. We are looking for digital cameras and digital camcorders that you don’t need anymore after upgrading so we can use it in our computer lab and art classes. We are also looking for digital video cameras that you may not be using either, whether they be 640×480 or widescreen HD. I am going to donate the above mentioned camera and a Canon digital video camera. If you want to help match me, drop off your donation anytime at our front desk. We will make sure your old digital cameras sees some creative uses. We are rolling out HIFIS at The Lighthouse. HIFIS is short for the Homeless Individuals and Families Information System and is a Government of Canada database designed to help us understand our population better. It tracks how long individuals are here but more importantly allows us to keep track of where they are going (to an apartment, another shelter, or in some cases to the streets). While any software that is designed by the Government of Canada is going to be a little clunky, it’s easy enough for any of our staff to use and input information to. All of those areas are tracked independently to ensure that we can understand what is going on internally but also so our funding agencies and other partners can see what is happening across the shelter. The information in it is anonymously shared with some outside reporting agencies but we give that information in PDF format which means that we can be sure that no identifying information is ever released. While the software is really useful internally, it also contributes to solving homelessness across the country by providing the Government of Saskatchewan and the Government of Canada with reliable and quality statistical analysis of what is happening at The Lighthouse. Curtis Daniels stands at the edge of the Kinsmen Park playground, watching as his five-year-old daughter Tayci plays on the swing set. Like most of the other kids in the park on this sunny Saturday afternoon, Tayci is laughing and smiling. The only real difference is she and her father are homeless. “She’s five so she doesn’t know how bad it is. But she has nowhere to live,” Daniels said. Daniels and his daughter have been without a home since last January, when Daniels left his apartment after a disagreement with his landlord. He makes sure his daughter always has a place to sleep – whether with family members or with her mother back on a reserve near Duck Lake. “She’s in good hands for sure. I feed her every day. She’s happy. At her age right now I’m glad she doesn’t fully realize the predicament we are in,” he said. Daniels has been working since May for the City of Saskatoon at the Woodlawn Cemetery, trying to save money to start renting a place. It’s only seasonal work and he will have to start looking for a new job in October. In Saskatoon, there are shelters – like the Crisis Shelter at the YMCA and Mumford House – that specialize in helping single mothers and their children get back on their feet. Currently, there are no emergency shelters that focus on single fathers and their children. Daniels cannot stay at places such as the Salvation Army men’s shelter without leaving his daughter behind.